Can you change the wiring in your brain? Find out what your “hot buttons” are – what triggers your negative emotions. Observe your emotions in the moment, without labeling good or bad. Investigate emotions by asking yourself questions like, “Why do I feel this way?” or “What are my emotions trying to tell me?” Sometimes there is a logic and pattern of our emotions than we can learn from and improve. Practice responding to emotions in new and constructive ways (for example, dancing, writing, or painting). I work successfully with clients and groups to do this with Peak Performance Success and Life Coaching that may include stress and anger management, guided meditation and the modality EFT – Emotional Freedom Techniques, tapping – that speed up this process! Download: Stress Management Empowerment Guide Most Popular! Facilitated Eileen Lichtenstein, MS. 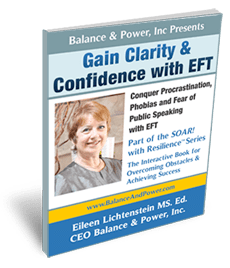 Ed., Certified EFT Practitioner and CEO Balance & Power, Inc. 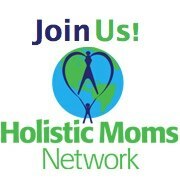 This interactive workshop will help you understand stress and the challenges unique to moms. Learn how to reduce its impact in your life with EFT! If you are a mom and are struggling with negative emotions such as anger, guilt, tiredness or need help with motivation or dealing with the in-laws modality is for you! Even the best moms struggle with these issues. Whether your kids are toddlers or teens you will find EFT an amazing tool to relieve negative emotions and enjoy your role as a mom.